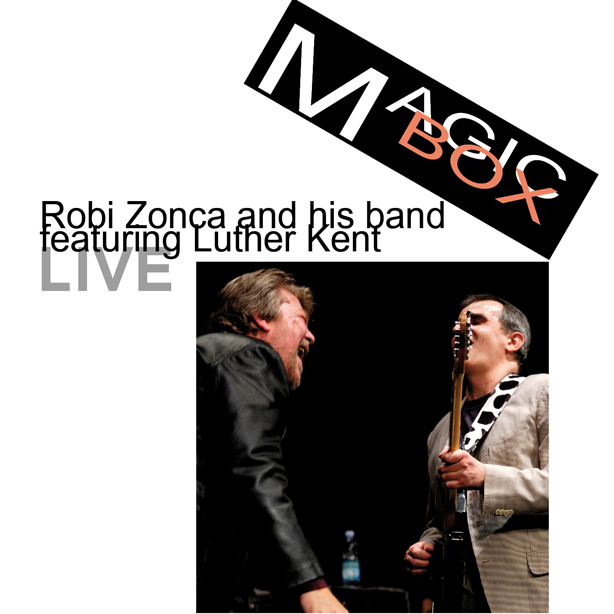 Robi Zonca, The italian indipendent blues artist widely broadcasted in the U.S.A. thanks to the success of both his albums DO YOU KNOW? and YOU ALREADY KNOW met, during his last tour across the States promoting his music, the great LUTHER KENT. It was some days before Katrina when Robi was deeply touched listening to Luther singing in a NOLA club. The two artist became friends and, on to this album, you can listen to the live recording of one of the shows that this unlikely, but great mix beetween Robi’s italian blues band and one of the best blues singer in the world, bring around Italy on april 2006. Real live recording, no overdubs. Open the MAGIC BOX and listen!! !